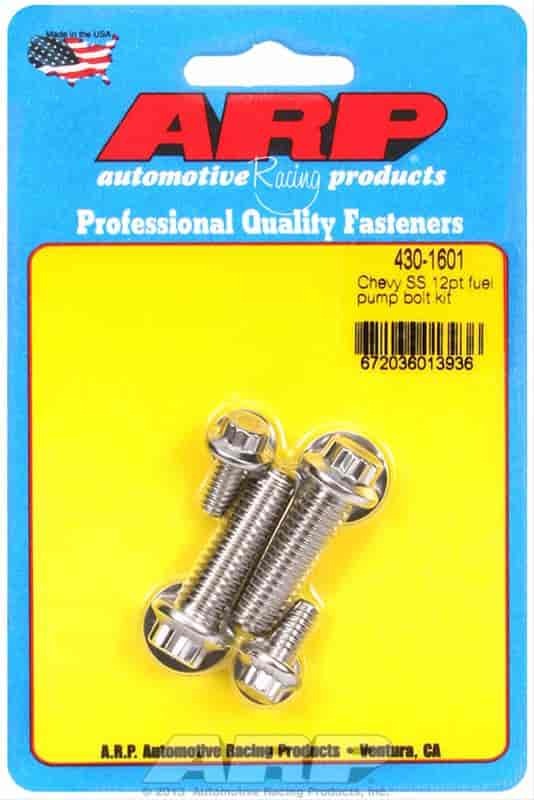 ARP's Fuel Pump Bolts make sure mechanical fuel pumps stay properly aligned and secured. These fuel pump bolts are nominally rated at 180,000 psi and are considerably stronger that Grade-8 hardware. Available in choice of either durable black oxide chrome moly or rust-proof stainless finish with hex or 12-point head style. Includes washers. Does ARP 430-1601 fit your vehicle? 430-1601 is rated 5.0 out of 5 by 1. Rated 5 out of 5 by Alan j from Excellent product Got these for my fuel pump block off plate. Perfect fit. ARP. What else.